One always meets the most interesting and stimulating people around His Holiness the Gyalwang Karmapa and this year is no exception. 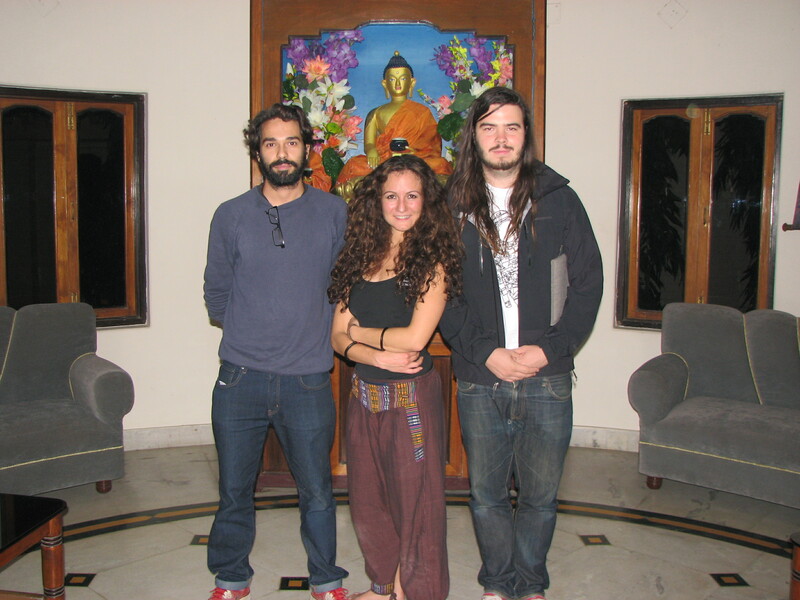 Guy Reid, Christof Freitas, and Steve Kennedy are the very talented filmmakers of Planetary Collective who were in Bodhgaya to interview the Karmapa for their new documentary film Continuum, due to be released in September 2013. Continuum will address the root cause of the environmental and social crises facing the planet today. A few days ago I got to view their 18-minute short called Overview, set to premiere at Harvard University in December, 2012. It was really fantastic, a stunning and thought-provoking piece of visual poetry. For more information check out their website: (www.planetarycollective.com).